Arrive at the Dealer, walk smartly past gauntlets of salespeople to a car or truck, marked “Sold”, all pre-arranged, get keys and drive away. With no waiting, no hassles; in fact it actually is a pleasant, exciting, fun event. Sometimes, I go with you to the dealer, to wave off all the craziness. 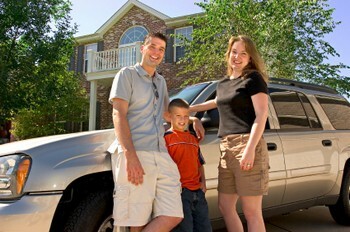 Buying a vehicle is the 2nd largest purchase, next to your home. 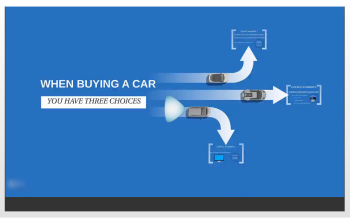 The car/truck purchase will be with intelligent, scientific thought and skills. When you take delivery of the car or truck, I will save as much money as possible. Barry offers a free presentation about car buying called “The Myths of Car Buying” to groups at no charge, to help educate the public about Car and Truck Buying. Contact Barry today to learn more about it. For good reasons (and sometimes not-so-good reasons) used car salesmen have earned a long-standing reputation of being near the top of the list of those to be least trusted. With all the con artists and scammers who routinely prowl Craig’s List and other online auto buying and selling sites, is it any wonder that buying and selling a personal vehicle these days is viewed by many as risky, perilous and a downright hassle? Enter Gig Harbor resident Barry Jaroslow, who owns and operates Auto Buying Made Easy. A real estate agent with Better Properties, Kitsap, Jaroslow started the fledgling side business two years ago, after realizing that a burdensome vehicle loan could provide the impetus to deny a buyer seeking a home loan. Operating strictly by word of mouth, the business has been growing, with satisfied customers willing to vouch to others for the deals Jaroslow has been able to make for them — both buying and selling. Some people come to me and say, "I want the cheapest car and the cheapest payments, I can afford". After some probing and suggestions, I find out, I can get a car they always wanted, but didn't know they could afford even, in the color, they truly love.